A report by the Environmental Working Group ranks Providence’s municipal water as second best (of metropolitan areas over 250,000 people) in the country. 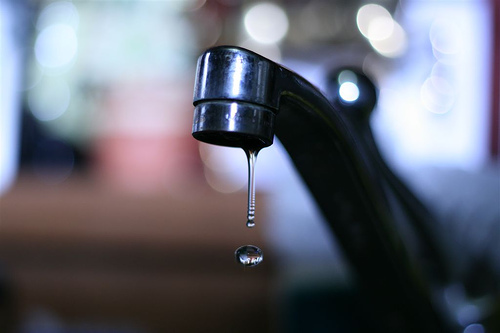 EWG compiled information from water utility tests going back to 2004 in 48,000 municipalities in 45 states. Arlington, Texas beat us out for the top spot. The only other New England city in the top ten is Boston at number 5. More reason for us Providencians to give up the bottled water habit. Via Yahoo! Green Blog and Po-Tee-Weet?. Indeed, we’ve got decent water coming from the PWSB. Now if only the stopped chlorinating it, it would be even better. This is great news, except people don’t drink the water straight from the utility. Many of them, particularly in older buildings, drink it through a hundred-year-old lead straw. First of all, this is a listing of municipal water systems based on contaminants and not on taste. For all we know they all taste the same. The results are also presented in a media friendly (attention grabbing press release anyone?) junk science format of simply ranking each city by using a position numeral 1-100. Is the city ranked number 100, 100 times worse, 10 times worse or possibly just a little worse than number 1? We can’t tell. So while simplifying the data set can be helpful in establishing a rating based on multiple complex data sets, the process is also somewhat arbitrary and may not represent reality. As it’s said, take things with a grain of salt. Considering the amount of lead piping still left underneath the streets of Providence, I’d hardly give Providence water a gold star on at least one potential pollutant. As to taste, I’m glad the first comment makes mention of chlorine. PWSB water has consistently had far too much chlorination; after heavy rains, it seems to be ramped up to mimic pool water. I’ve taken showers accompanied by the ever present smell of Cl in the water vapor. Excessive (though I expect they can prove that it is within gov regs) chlorination has gone on for at least a quarter century and seemed to get worse since that Cryptosporidium outbreak (Michigan?? Wisconsin??). I bought a whole house, contaminant and taste, water filter years ago and have enjoyed good tasting and smelling water ever since, regardless of what the Prov Water Supply Board does. Regarding the taste issue: I’m pretty sure the only evidence for better taste is anecdotal, but Rhode Island’s water sure beats North Adams, MA’s (where I currently live). It is a shame that so much of the system to deliver that delicious water is tainted by the pipes in which it’s delivered, but wouldn’t that be the case in just about any large city with aging infrastructure (i.e. all of them on the East Coast)? I find that the tap water here tastes better than pretty much all municipal water sources I’ve had (when unfiltered, of course). We run ours through a Pur filter mainly because my wife prefers it that way. I really don’t mind it either way. I don’t notice a heavy chlorine smell or taste either. I even use unfiltered tap water for homebrew and it doesn’t affect the taste of the beer. Most lead in water comes from pipes within a building. Lead mostly leaches out of pipes when the water is hot, not cold. Also, if the water has not been moving within a pipe for a long period, lead can leach out of pipes in smaller amounts. Let the water run for 3 or 4 minutes to clear the idled water. As for chlorine, if you leave water out in unrefrigerated a wide open container overnight, most of the chlorine will outgas. The water will taste noticeable better in the morning. What not mentioned is the chemicals that aren’t tested for, such as pharmaceuticals in very low amounts. Those could be a concern. ProJo reports on projects to make our water even better.